This week’s swim sets continue the off season theme of simplicity and technique. 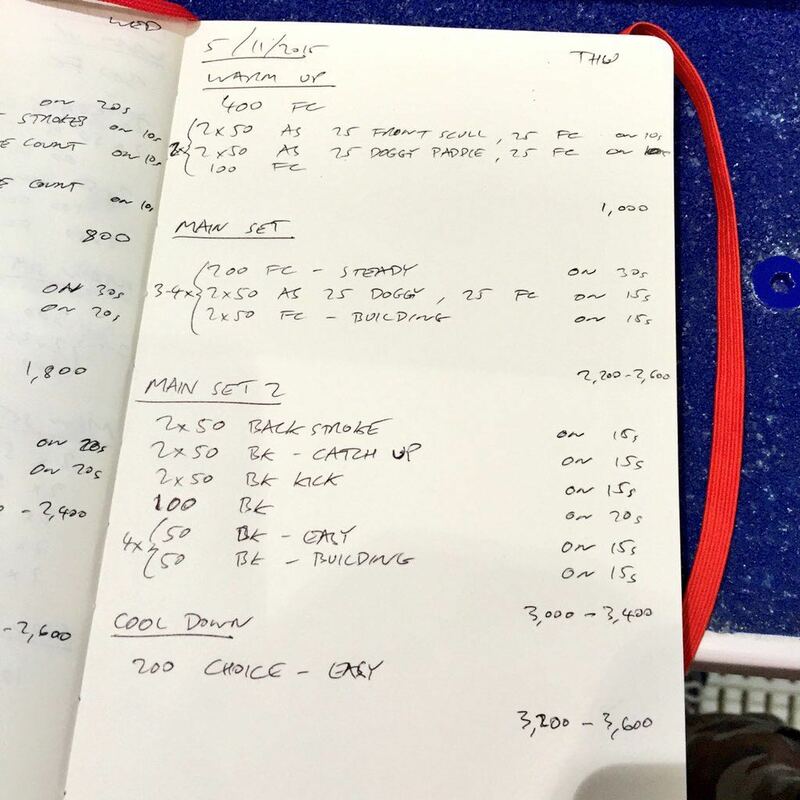 Wednesday’s session involved counting strokes, not all that popular at 6:30 in the morning, but counting strokes and concentrating on that count helps keep a swimmer’s mind on their stroke. 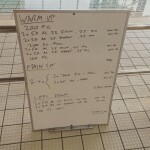 For Thursday’s session I turned my attention to the initial catch with two classic drills – sculling and doggy paddle. 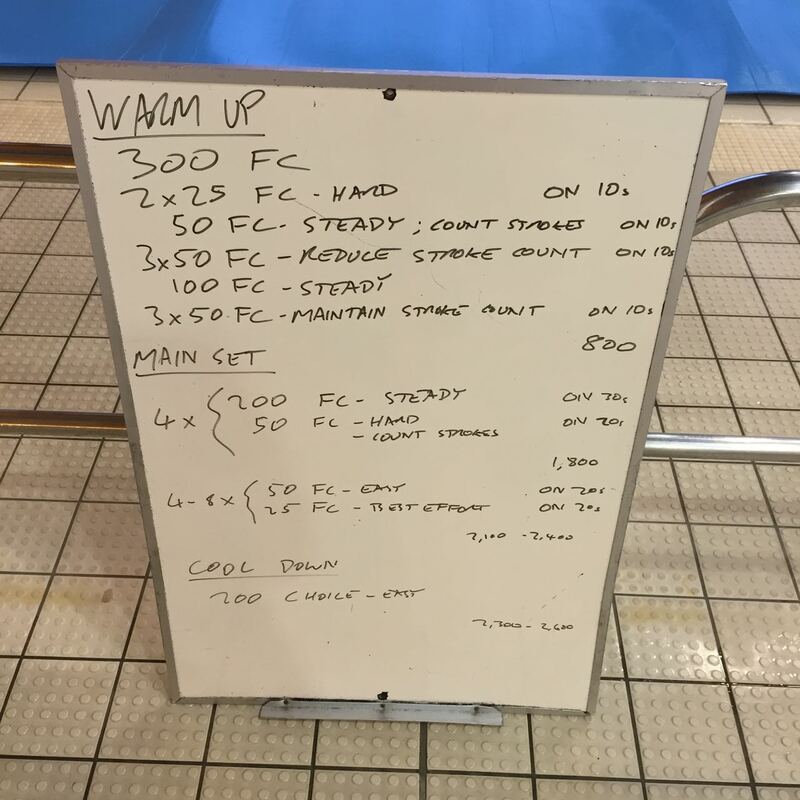 After an initial warm up I had the squad swim a relaxed 50 counting their strokes for the rep. With a baseline established I then asked them to try and reduce this number over a further three 50m reps. A low stroke count is not a target in and of itself, but working to reduce that count focusses attention on what’s happening in the water. Throughout the main set I had swimmers checking their count over hard 50m reps to ensure they didn’t lose control of their stroke. The aim wasn’t to be as low as possible, but to keep the stroke count stable as effort increased and ensure that each stroke counted. 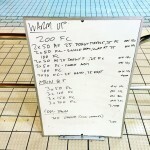 Some classic catch drills to start the session and to break up the main set. 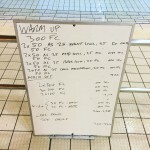 Front sculling to help develop feel for the water and give a sense for the initial point of the stroke; then doggy paddle to follow this through to the catch itself. 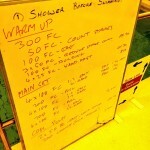 We finished the long session with more work on backstroke.